The job market is improving with holiday spending expected to increase to pre-recession levels. The US economy is slowly recovering and many Americans are finding work. US Military veterans have faced challenges in finding work since September 2007. October’s national unemployment rate is 7.9 percent. That’s dramatically less than our military veteran heros who have seen action since September 2001 to present. 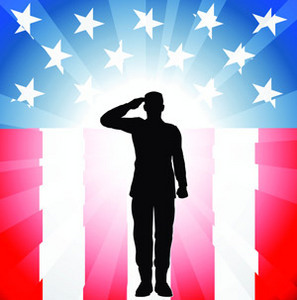 Unemployment rates in October 2012 for military veterans stand at 10 percent. Unemployment numbers are even more startling for our veterans when we look at the numbers by the sexes. Unemployment numbers for females who are unemployed veterans stand at 15.5 percent which is dramatically different than 9.2 percent figure for women from October 2011. The problem for hiring and recruiting veterans isn't just a veteran thing. It is even more challenging and startling for our female military heros. Our soldiers are not prepared to find work in a post-military working world just as much as employers are concerned about post-traumatic stress, higher employee health benefit costs, and time away from work that things like National Guard Duty bring. Laws like USERRA which stands for Uniformed Services Employment andReemployment Rights Act were created to protect our military from being discriminated against in the hiring and employee process. Except that the numbers don’t lie. A 2012 study just released by CareerBuilder shows that only 3in 10 employers plan to hire military veterans in the next 12 months. This number is simply not high enough. As someone who has worked with and interviewed and hired hundreds maybe even thousands of military veterans I can sympathize with a recent military veteran’s frustration. Serving your country is an honor, and one that I don’t take lightly especially since I know first hand. I was a military spouse in my first marriage. My ex-husband faced the prospect of war every single day, and so did his friends and other soldiers who were like family. Upon transitioning out of the military, I watched my ex-husband struggle to find work. He was uniquely qualified, eager, and anxious to find his place in the working world. I watched him get beat down emotionally and struggle to find work, friends, and settle in. It was something our marriage did not survive. Recruiters can take advantage of this eager talent pool that consists of thousands of soldiers exiting the military every year. They are loyal. They understand strategy and plan execution, structure, and responsibility because their success is a matter of life and death every single day. They can be a hidden talent pool to fill current and future position requisitions. · Develop a Relationship with the Military Base’s Transition Team. Exiting soldiers attend classes and must complete long checklist of tasks the last 60-90 days of their service. By developing a relationship with the local base specifically the transition team, you can develop a consistent talent pipeline of candidates to fill a variety of open positions. I've worked with base transition teams giving them valuable feedback into the hiring and candidate evaluation process which in turn they regularly referred candidates to me. · Offer Free Training or Assistance. One of the hardest pieces of the jobs transition from military to civilian is understanding the hiring process. In the military world, promotions happen based on time in service or how you perform in front of a board answering questions on military regulations. The candidate hiring and interview process is foreign and many military fail to market themselves effectively due to the differences in lexicon and how their skills can be leveraged in other places. By offering free mock interviews or resume evaluations, you are not only providing insights into the corporate world and hiring process but are able to pre-interview your candidate pool before they apply. · Develop a Talent Network. Create a community where military veterans can connect and learn more about your organization and also connect with one another. A talent network like this serves a bigger purpose and attracts a much broader member and interest base helping you to foster relationships with this candidate population months or even years after they exit the military. This is especially helpful if you are targeting multiple military veterans with specific qualifications or are casting a wider recruiting net than just your local military base. By providing these resources and relationships you are helping serve a bigger purpose also building and fostering your organization’s employer brand. It’s a win win. Hiring, recruiting, and engaging military veterans is a challenge. Job responsibilities and keywords don't often translate well into applicant tracking systems putting our veterans again at an disadvantage. This makes hiring and developing relationships for future talent using a variety of strategies even more important. What strategies have you had success in hiring our nation’s heros and US military veterans? Would love to hear your insights and best practices by leaving a comment below. The same goes for your military resume. If it's full of vocabulary, some sort of civilian looking at your application (or a good expert from a cousin service) would possibly not know very well what you're definitely dealing with. It's important for your future that you just translate your armed forces ability along with successes into ordinary. Nicely put Jessica. It's always great to think about engaging Veterans, but when some people realized it's going to be more complex or outside of the normal, then tend to shy away. This is not the path of least resistance. Great piece. That one can be obtained for $42,500 at SheartimeOf course, a warm commodity among vintage Rolex watch collecting are watches which have gone "tropical," meaning the dark colored has faded to brown through the years. Matthew Bain is selling a circa 1970 reference 6265 Daytona cheap fake watches , with a steel bezel and screw-lower pushers, having a dial which has switched superbly and evenly brown. Incredible Set up I am certain plenty along with floored to review these excellent topic materials... May within absolutely no method for age range already been vacationing towards the website simply. Solely experienced your own make contact with once again as well as insurance provider good quality feed-back at that moment. The truth is wonderful set up! At the moment notice the next key phrase Check Cashing Along with many thanks considerably Improve affordable manage works.